Nelson building company M2 Build specialises in residential construction, renovations and architecturally designed homes. Home building or renovation doesn’t have to be a stressful event. 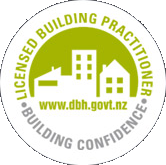 Shane McBride, owner of Nelson building company M2 Build, specialises in communication, attention to detail and cost transparency, without compromising on quality and standards. The M2 Build team work closely with your architect or designer to ensure a seamless home building or renovation process with results that exceed your expectations. M2 Build uses a clear, costing and tendering process so clients are protected from unexpected surprises. M2 Build excels at project management and achieves a high quality finish, on time and on budget. Once the build is complete, the M2 Build team can take care of on going maintenance work, and manage maintenance programmes for absentee owners. Talk to us about your building project – residential new homes, renovations and alterations including bathroom and kitchen renovations. We recommend you contact Shane at the beginning of your building journey so that he can recommend architects and designers and get your project off to a smooth start.